Lasso of Truth opened this week at Atlanta’s Synchronicity Theatre and I’m thrilled to announce that I’ll be a guest speaker as part of the performance’s talkback series. 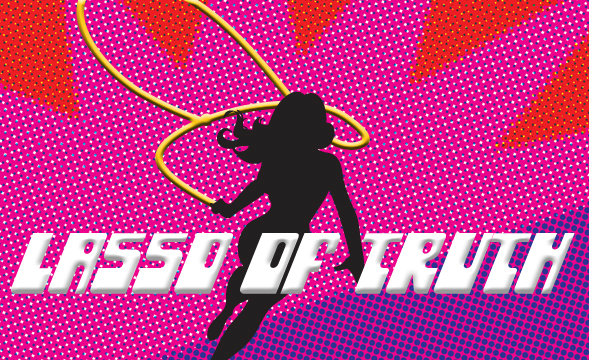 Written by playwright Carson Kreitzer, Lasso of Truth is an exploration of Wonder Woman’s origins and of her creator William Moulton Marston’s polyamorous relationship with his wife Elizabeth Marston and assistance Olive Byrne. The show is running now through Oct. 19, 2014 with talkbacks following the 5pm performances on Sun. Sept. 28 and Oct. 5. If you’re in the Atlanta area you should check it out. Hope to see you there!